In 1967 Eric Carle illustrated a book for Bill Martin Jr called Brown Bear, Brown Bear, What Do You See? And so began the very prolific career for Mr. Carle who uses pieces of painted tissue paper laid out in collage form to create beautiful children's books. Recently fabric has been made with Brown Bear and all his pals on it. For Liam Joseph's quilt I started out with the Baby Turning Six pattern. Where each of the 6 1/2" squares would go I framed an animal and placed it in that spot, filling in the extra two squares with the children in the story. This is a good adaption of the pattern if you have a picture quilt fabric and want a simple yet creative way of placing those pictures. 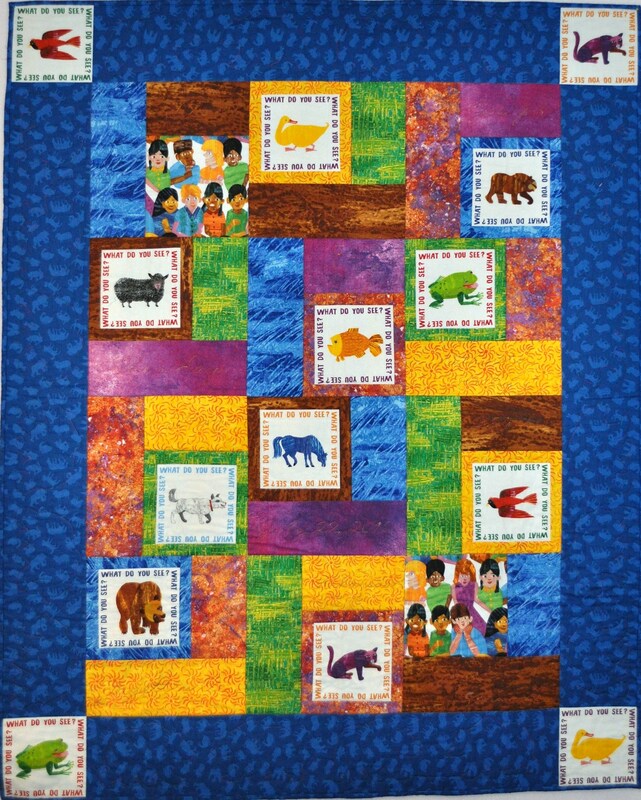 Not all the fabrics in this quilt are from the Andover Collection but I believe the chosen fabrics carry out the richness of the illustrations. Liam's stats include his twin sister Hadley. I machine quilted around the frames and quilted the newborn stats. 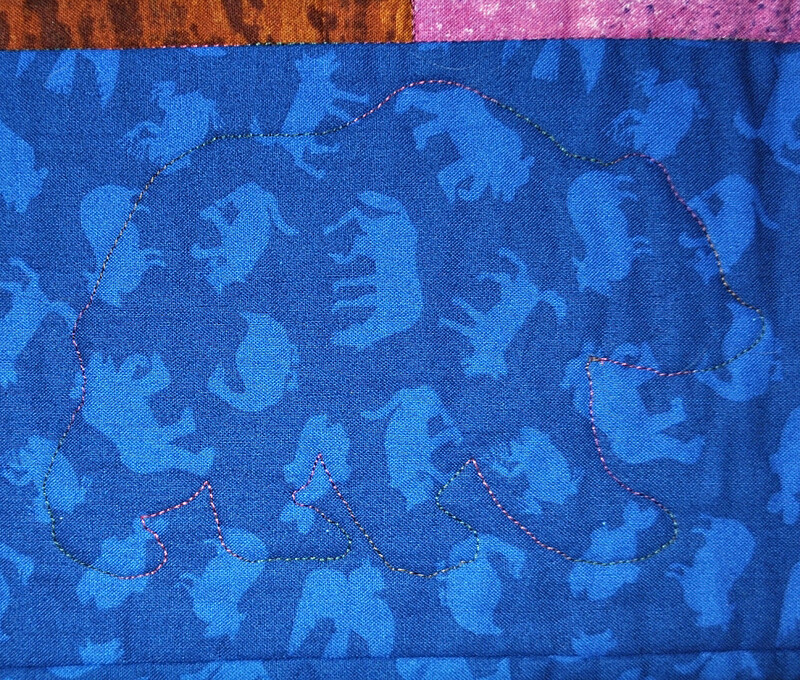 Invididual quilted bears stalk around the borders adapted a pattern from Marla Amundson's book Quilted Animals. Liam's quilt is 40" x 50" and is machine pieced and quilted.